Before joining General Patton, Hugh Gaffey served in Tunisia and Sicily. During his time in Tunisia he was the Chief of Staff of the II Corps, and he was the Commanding General of the 2nd Armored Division in Sicily. 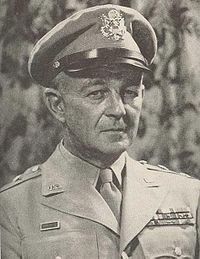 Throughout the duration of Hugh Joseph Gaffey's participation in General Patton's 3d Army, the army achieved many different feats. During 1944 the 3d Army advanced across France, and then during the next year (after Gaffey had been reassigned to the 4th Armored Division), 1945, the army advanced into Germany. 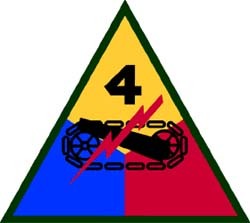 In December of 1944, Hugh Gaffey was appointed the Commanding General of the 4th Armored Division. The division, during December, advanced into Belgium very quickly, covering more than 150 miles in a day. It then joined other Allied forces against the Germans at Bastogne on December 26 for a battle which lasted for many days, where Hitler was aiming to control the Ardennes. Gaffey aided the 101st Airborne Division deployed there, and turned the tide of the battle. However, during the Battle of Bastogne, the 110th Airborne Division was almost completely eliminated, so the battle was not a complete success.